In addition to our in-house Zerista Surveys, we offer the ability to link to any third-party survey or poll. Admin and Moderators can create a third-party survey and then use the steps below to load the survey to an app or assign it to the appropriate session, if applicable. Log in to the admin of your website. 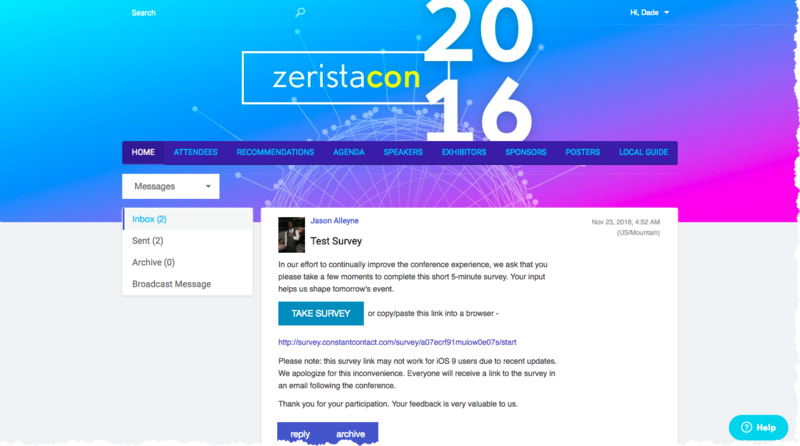 Choose a Survey Provider - Conferences i/o, Other, Survey Gizmo, or Zerista. 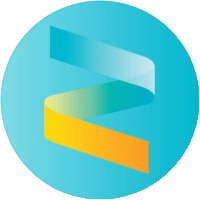 If you do not see the Zerista survey type please speak to your Zerista Project manager to pay for and enable the feature. For Survey Gizmo and Third-Party Providers: Copy and paste the survey URL under "Link url"
Choose what you want the link to say under "Link text"
When creating a Survey Gizmo or Zerista survey, there is an option to require the survey. You can enable this at any time but is not recommended. If required, the user's website/app will be directed to the 'my surveys' page to submit this feedback. The user will not be able to continue to any other page or menu item of the website/app until completing the survey so use the required option with caution. If it is a conference survey, it will be required as soon as the user logs in so be careful enabling this preference. For a meeting or event survey, it will be required once the session/meeting time has completed. If you require the survey AFTER it has been set up and assigned to sessions or meetings, you will see a prompt to update existing users surveys to follow the new requirement. A prompt will appear if a survey was required and then you wanted to un-require it. For a general conference survey, there are a few ways to distribute the survey on the site. 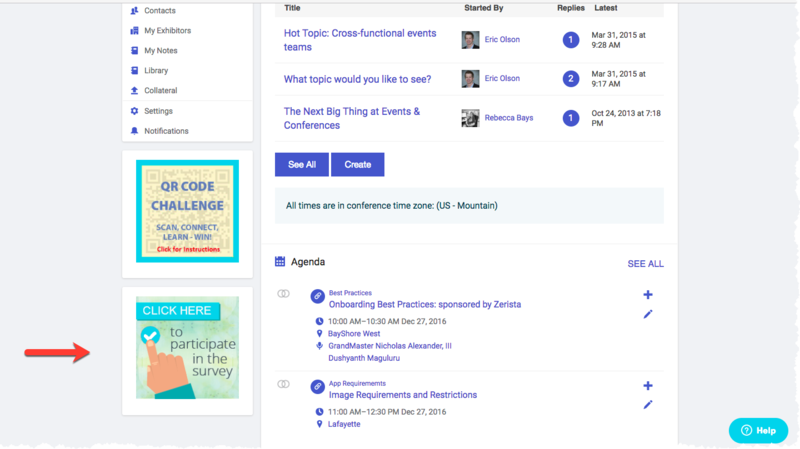 In the app, the conference survey will show to all users in "My Event", under "My Surveys". Add it to a custom page. Send it out as a broadcast message. For a session survey, link the survey to the session in the Engage>Survey section so they survey shows in the session description. Detailed instructions here. Attach the survey to a specific session. **This functionality is ONLY supported by Survey Gizmo or Zerista Surveys, at this time. Using any other provider may cause problems for app and website users because survey completion is not tracked on other platforms. Survey Gizmo does not support all kinds of surveys, so speak to your Zerista representative to acquire a list of approved ones. Survey type cannot be changed once the survey has been created.